Go Cats! Here is your complete guide to all Montana State University Real Estate, Bozeman Real Estate For Sale near Montana State University, Full MLS Access to all Real Estate For Sale in Bozeman MT near Montana State University, More pics, info and vids. Your #1 resource for all real estate for sale in Bozeman Montana. (MSU) is a land-grant university located in Bozeman, Montana, United States. 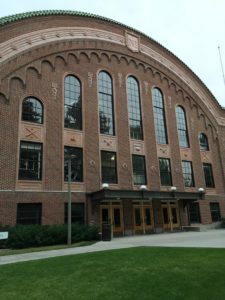 It is the state’s largest university and primary campus in the Montana State University System, which is part of the Montana University System. MSU offers baccalaureate degrees in 51 fields, master’s degrees in 41 fields, and doctoral degrees in 18 fields through its nine colleges. More than 16,400 students attend MSU, and the university faculty numbers, including department heads, are 743 full-time and 411 part-time. The university’s main campus in Bozeman is home to KUSM television, KGLT radio, and the Museum of the Rockies. MSU provides outreach services to citizens and communities statewide through its eight Agricultural Experiment Stations and 60 county and reservation Extension Offices.